Michael J. Balk passed away on Sunday December 2, 2018, at Elderwood of Lockport. Born in Buffalo on July 20, 1938, he was the son of the late Nelson and Sara Colley Balk. Mike served in the US Navy from 1956 until 1960. He retired from Bell Aerospace in Wheatfield as a Supervisor in 1992 after working for 30 years. He was a member of the Elks Club and the Knights of Columbus #319. 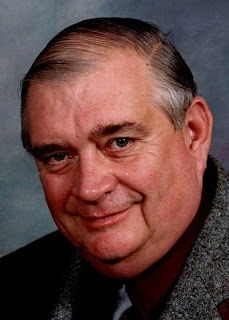 Mike is predeceased by his wife Mary (nee Reggentine) Balk, passed away October 8, 2012. Beloved father of Mark (Sue) Balk, Jeff (Donna) Balk, Tom (Darcy) Balk, Tim (Cheri) Balk, Kari Balk and the late Michael Balk who passed away in 1982; cherished grandfather of Mark (Maricela), Rachel, Sadie, Jason (Adrienne), Justin (Nicole), Jonthan, Jilly, Hollianne, Chelsea, Christopher, Molly, Michaila Diel and great grandfather of Sean, Myles, Grayson and Preston. He is also survived by his brother in-law Robert (Gretchen) Reggentine and nieces, Gina, Andrea and Tricia. Friends may call on Thursday December 6th at 4-8 PM at Prudden and Kandt Funeral Home, 242 Genesee Street, Lockport. A Mass of Christian Burial will be held on Friday December 7th at 10 AM at All Saints RC Parish, 76 Church Street, Lockport. Interment will be in Cold Spring Cemetery. Memorials to Niagara Hospice would be appreciated by the family.